Lavender Greece is a versatile oil that can provide a variety of solutions for your everyday needs. Use Lavender to loosen mucus associated with occasional environmental threats, freshen and disinfect the air in your home, relieve pain in muscles and joints after an intense workout, balance everyday tension and stress, and encourage restful sleep. 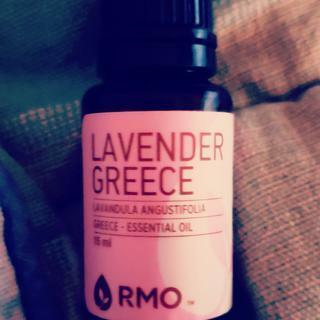 We included Lavender Greece Essential Oil in the Rocky Mountain Oils Mood, Skin Care, and Sleep collections. The oil is extensively used in soaps, bath oils, perfumes, DIY skin care, and linen sprays. It is prized for its skin healing abilities. When added to a carrier oil, Lavender Greece is a wonderful option for soothing the skin. Add to massage oil for a relaxing massage that calms overworked muscles. Learn more ways to use Lavender on the Rocky Mountain Oils Recipe Book! Kids Safety: Safe to use topically with children 6 months of age and older. Dilute to a .5-2% dilution rate for topical application. - Diffuse in an open, well-ventilated area. - Keep children out of the direct line of mist. - Diffuse in 30-60 minute intervals with ample break periods for safe and effective use. Love lavender to help me sleep, and in the bath when my back hurts!!!! As with all Rocky Mountain Oils I love it and have bought several times. One of my favorites. Fast delivery and nice smell. This is my go-to oil! It smells wonderful and is great for diffusing as well as topical use! Floral, dry, beautiful and perfumey. It is my favorite Lavender right now. Gorgeous quality. I would recommend this product. It is very soothing and relaxing! I use lavender for lots of things. Lavender at night, outta sight. Love this oil, as it is so calming. I have to use it every night. A little peppermint oil with it, is also fabulous. Wonderful smell, sweet and fragrant. Using in place of another oil company I used to use and so far I’m very pleased with what RMO has to offer! This scent makes me so happy. It’s a high quality scent and it’s perfect to diffuse at bedtime. Very happy with this purchase! Smells good. A few drops does the trick. Very strong. Great quality and smells amazing! Absolutely fabulous product.... helps calm my duaghter who is on the autism spectrum get to sleep on a nightly basis!! So happy a friend recommended this product to me!! Love this oil! It's a staple in our home. Diffuse in my bedroom daily. Calming! This is a really nice gentle floral smell. I'm not a lavender fan usually but it is my favourite out of the three lavenders that RMO has offered. (Lavender Bulgaria being my least favourite). This is my favorite oil! I just love this oil so much. It smells amazing. I have tried other oil companies, and buying oils at stores, and they do not compare to this one bit. I can't hardly smell other lavender oils when I diffuse them, but this one fills the room with scent, and we only use 2 drops. Its great! We use this to diffuse at night while we sleep, and I can tell that I sleep better with this. Love, love, love! I have vivid and sometimes crazy dreams but sleep deeper using it. Very familiar lavender smell but even better. We have been enjoying the smell daily. one of the best Lavender eo’s I’ve ever used! ?? I love your lavender! I use it in my diffuser and have it mixed with a carrier oil and roll on in the morning and at night. Smelllls good to me ! I would definitely recommend this fabulous smelling lavender! I love it so much! It has a smoother smell that I truly love. Love it! I know this is typically used for sleep/relaxation but I could diffuse this all day! Who doesn’t love lavender? I’ve tried about 5+ different brands and I find this lavender oil to be the highest quality and longest lasting. This is a repeat buy for me! This is my first experience with Rocky mountain Oils and so far I love them. They are amazing and high quality! Perfect! So happy to have discovered RMO, quality products at affordable prices. Arrived quickly, securely packaged, no leaking concerns as others have mentioned. I look forward to more purchases! I ordered the Lavender to diffuse at night for a better night sleep for the humans and dogs in my house. It works great for all of us. Just like the old lavender. Love it. I have purchased the lavender Hungary in the past. This is another quality product. I’ll be ordering this again. You cannot go wrong with this oil! My husband and 3 sons like it as well. It is wonderful to drift off to sleep with this scent. Love this oil! A little lighter. Stays potent even in the towel warmer all day. This is a wonderful essential oil. I use it, especially in the summer, mixed in water. I then submerge a wash cloth, wring it out, roll it up, place it in a plastic bag in the fridge while I am at work. At night, I place the cold lavender scented wash cloth on my chest and am able to sleep peacefully through the hottest nights. Why have you switched from lavender Hungary to Lavender Greece? What is the reason? BEST ANSWER: We have run out of Lavender Hungary, and are unable to find a new batch that meets our quality standards, so we will now be carrying Lavender Greece. Here is a link to a blog post we have that provides more information on the switch. This is a very good sign in an EO company! I’m always suspicious of companies that never seem to run out of a popular oil. Keep up the good work. PS This lavender does NOT disappoint! I thought I would give the new Lavender Greece a try and I Love it! The benefits of Lavender are endless and our home is never without it. What's the difference between this lavender and the organic one you sell? BEST ANSWER: The difference in our two Lavenders would be that our Organic Lavender was put through the certification process with the USDA to be certified organic. The certification process is very long and expensive which is why we do not currently offer if for all of our oils, however, we are looking to expand this line of oils and we will be offering the certification for more of our oils in the future. Also, our Organic Lavender is sourced from Bulgaria and our Lavender Greece is sourced from Greece. Because of the difference in growing conditions, each will vary slightly in scent. The Organic Lavender will have a deeper, herbacious smell while the Lavender Greece will have a sweeter, more floral smell. I make my own candles, will these oil’s work for homemade candles? BEST ANSWER: We do not have much information about using essential oils in candle making, However, we have had feedback from some of the customers, that they have used our oils when making candles and had good results. We would like to add that using essential oils with heat is something to be aware of as the heat degrades the therapeutic value of the oil, so there likely would be little therapeutic benefit to using essential oils in a candle. Looking for list of ingredients? BEST ANSWER: The Lavender does not have a list of ingredients, because the only ingredient is Lavender. There are no added fillers, bases, fragrance enhancers, etc. 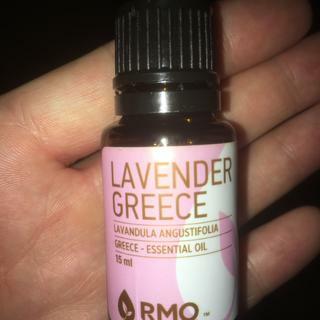 Is the the same as lavender essential oil in the essentials kit and that you would get from other companies, or does Greece produce a slightly different variation? Can it be used like standard lavender oil? BEST ANSWER: Great question! Yes, this is the same Lavender in The Essentials Kit. It can be used as you would use any other Lavender. Is this suppose to replace the other two options of lavander they used to have? BEST ANSWER: Excellent question! This isn't intended to replace the other it is just sourced from a different location. I'm currently a YL user and am looking for a more affordable EO company. Your oils seem to fit the bill but I was wondering if they can be ingested. I use some of my YL oils in my foods and drinks and was wondering if Rocky Mountain is safe to consume? What happened to the Lavender Hungary & Bulgaria, is the Greece lavender comparable? BEST ANSWER: Great question! They were discontinued due to sourcing. Lavender Greece is similar to Lavender Hungary and our Organic Lavender is also sourced from Bulgaria. Why did you stop selling Lavender Bulgarian? Due to sourcing and lack of popularity, we have decided to move forward with Lavender Greece as our main Lavender Oil in our product line. We also carry Organic Lavender which is sourced from Bulgaria, as well.